Updated Wednesday December 12, 2018 by Denis Archambault. We now offer 5ON5 Ball Hockey Leagues all year. 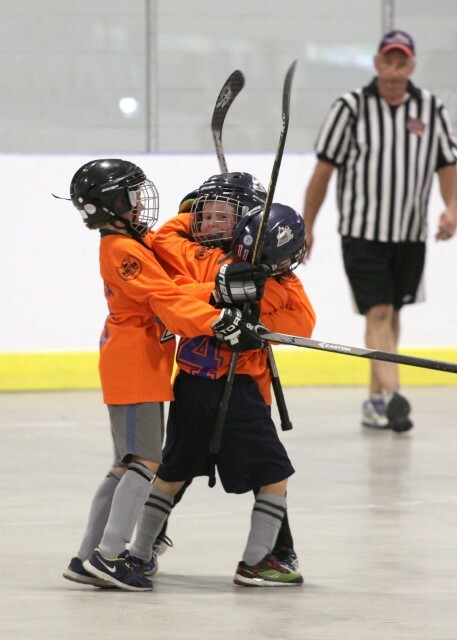 SPRING/SUMMER SEASON: The weekend House League program runs from mid April to late June, Select/REP teams will play until mid July in the Provincial Championships. Games are played from Friday evening to Sunday afternoon. Game times will vary week to week. A typical Season Schedule is mostly Saturday games combined with some Sunday games and the odd Friday night game (it could vary slightly). Most games are played at Skyway Arena with some games at Mountainside Arena and Nelson Arena. FALL SEASON: The weekend House League program runs from mid September to early December. Games are played on Sunday at the Toronto Rock Athletic Center in OAKVILLE. Game times may vary week to week. WINTER SEASON: The weekend House League program runs from early January to early March. Games are played on Sunday at the Toronto Rock Athletic Center in OAKVILLE. Game times may vary week to week. Please see our Questions and Answers page for more information. External links are provided for reference purposes. Halton Minor Ball Hockey League is not responsible for the content of external Internet sites. Copyright Halton Minor Ball Hockey League All rights Reserved.